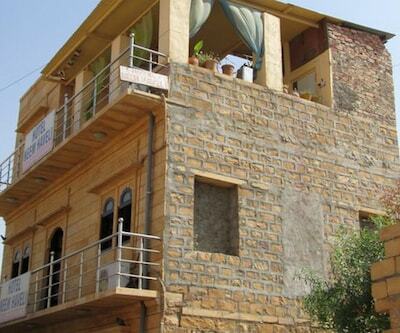 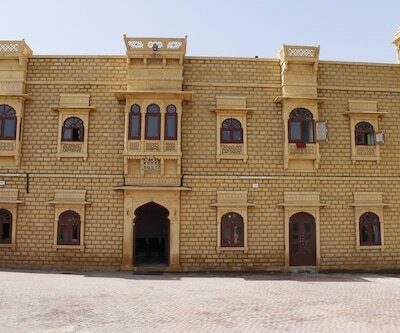 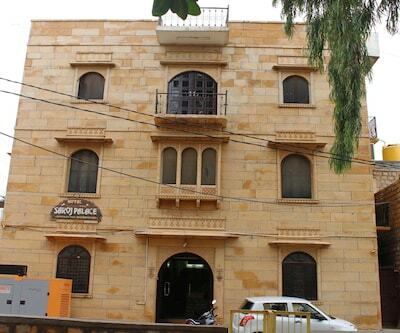 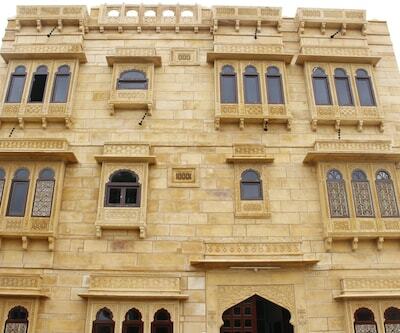 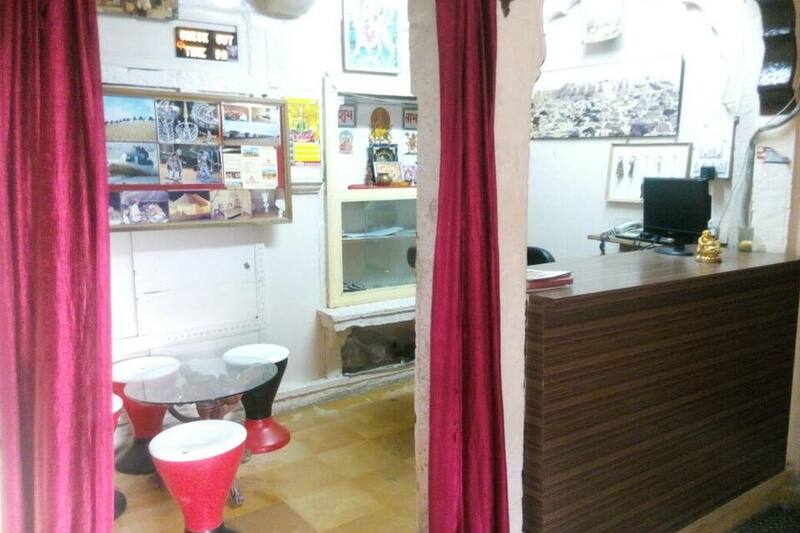 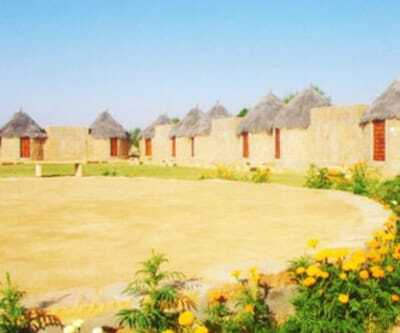 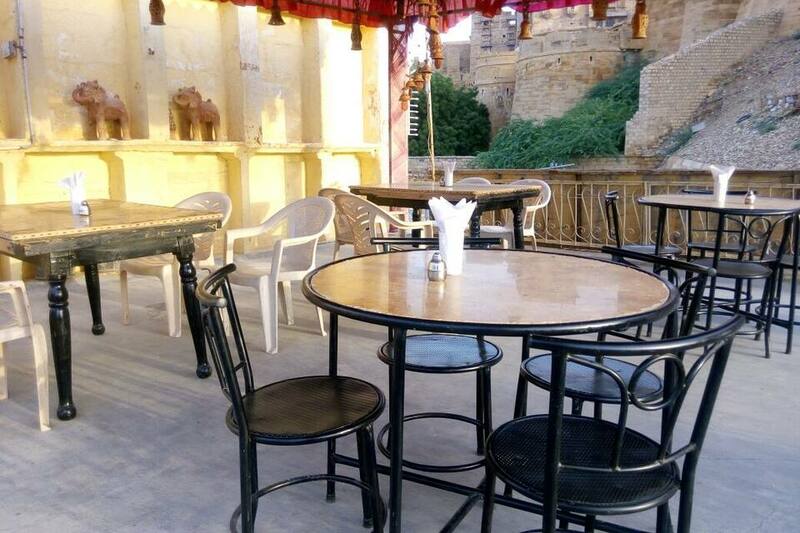 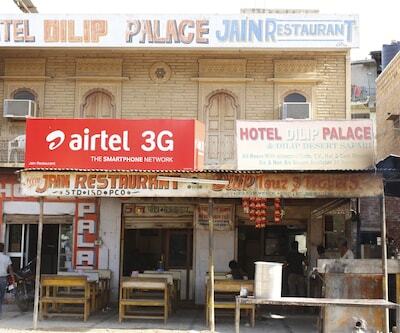 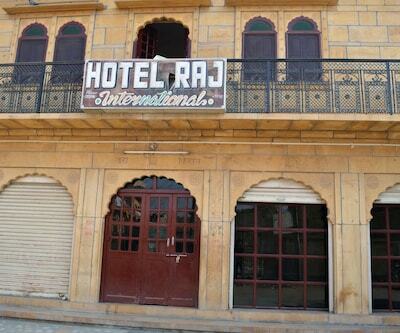 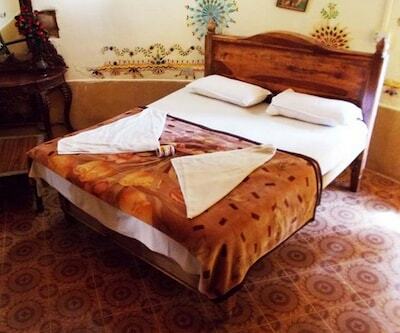 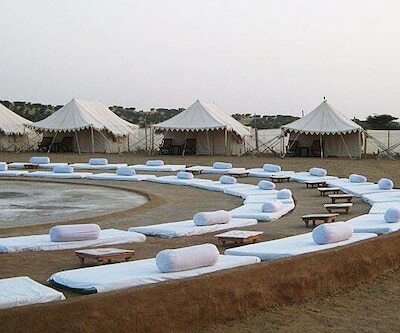 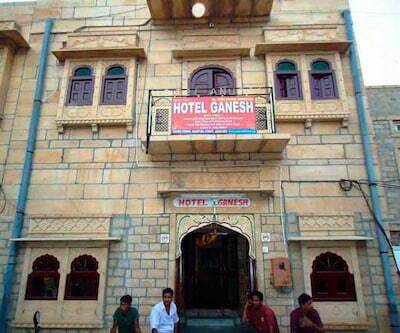 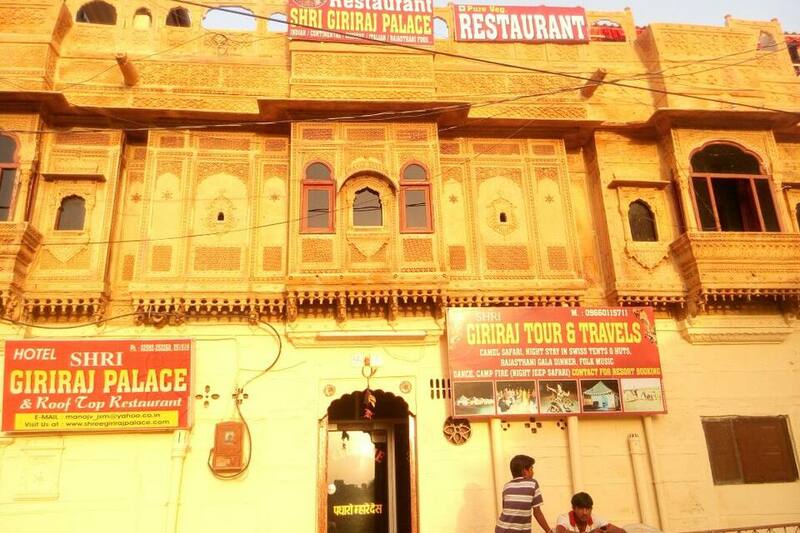 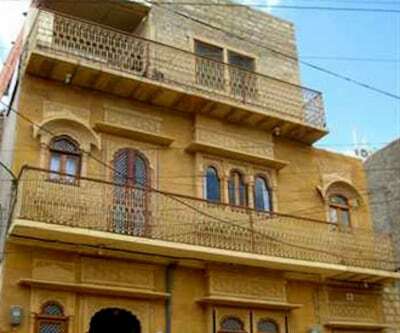 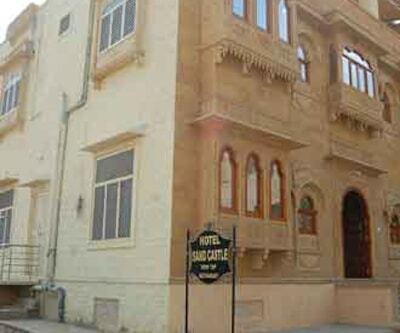 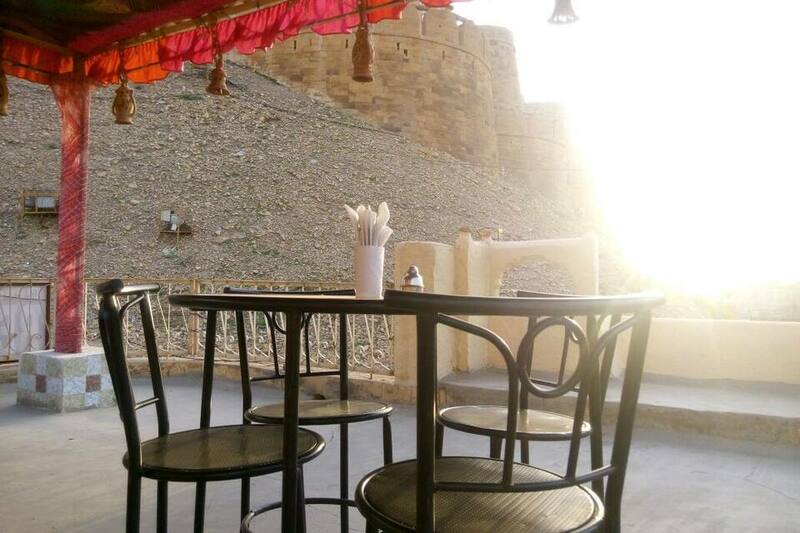 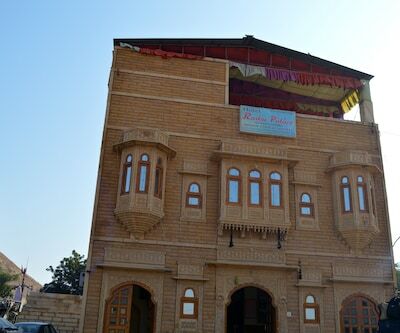 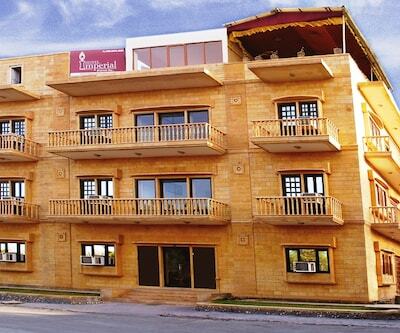 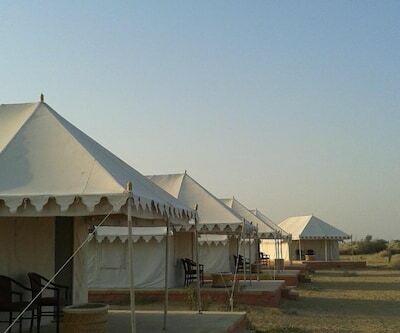 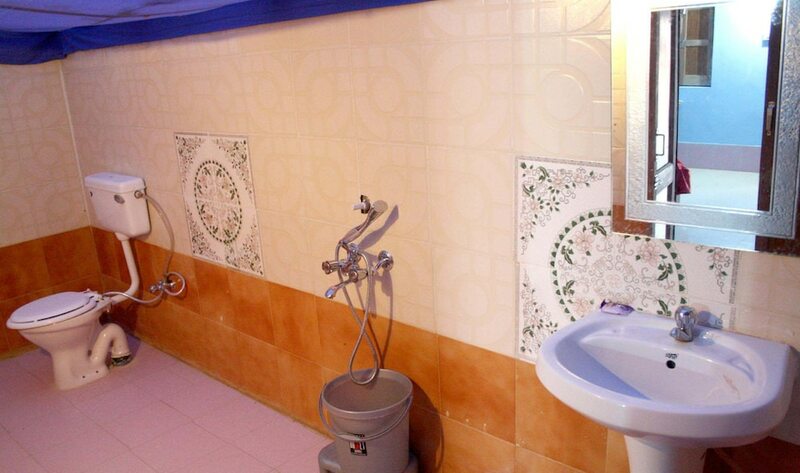 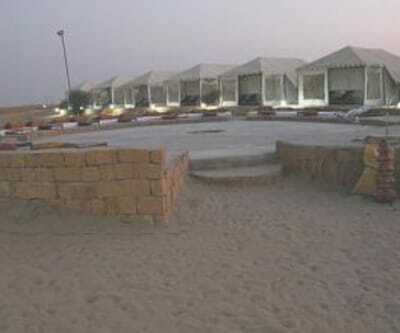 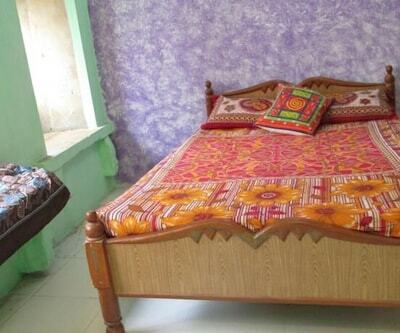 Offering internet access to its guests, Hotel Shri Giriraj Palace is located at 0.1 km from the Jaisalmer Fort. 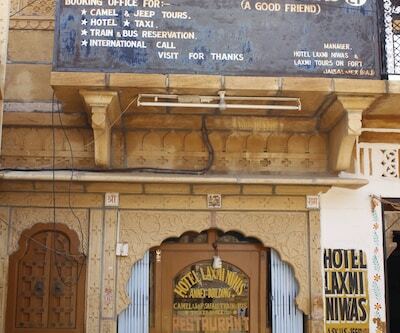 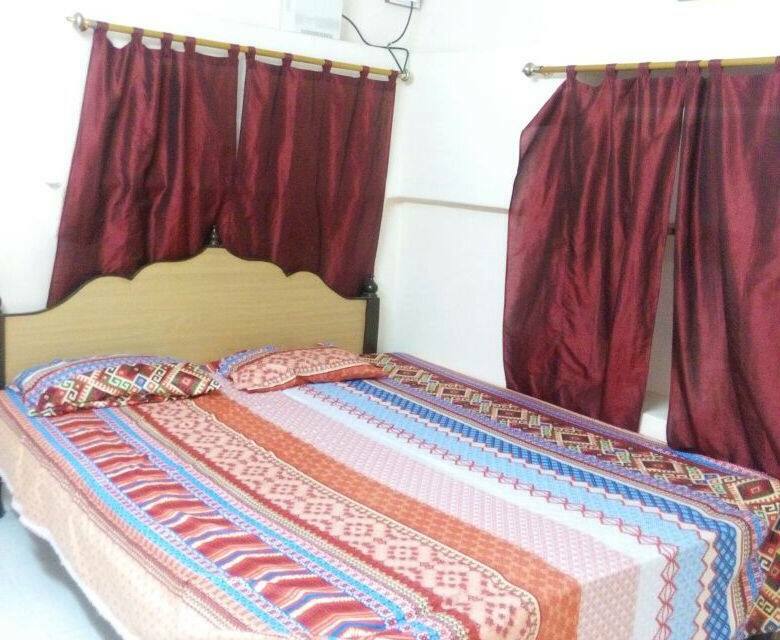 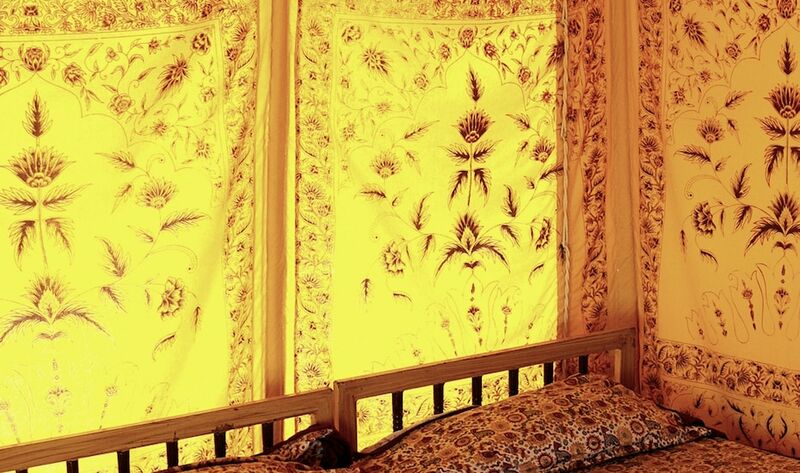 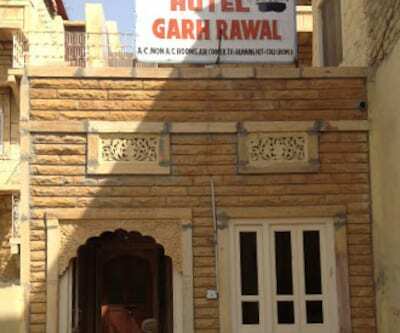 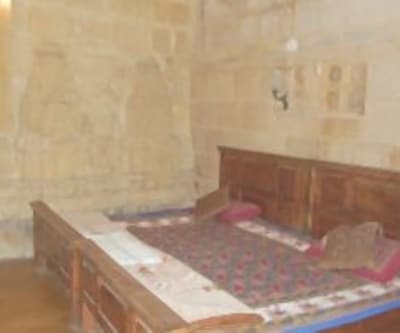 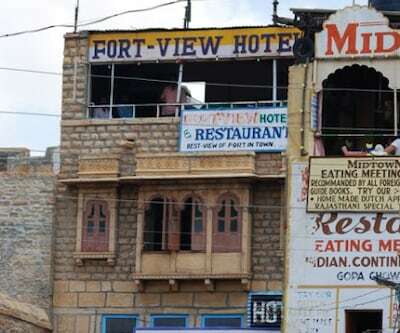 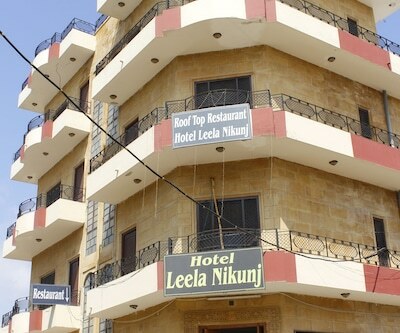 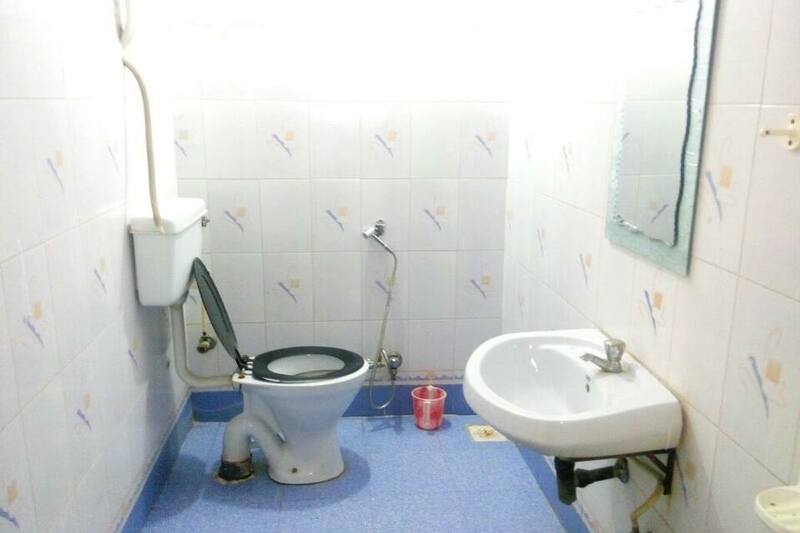 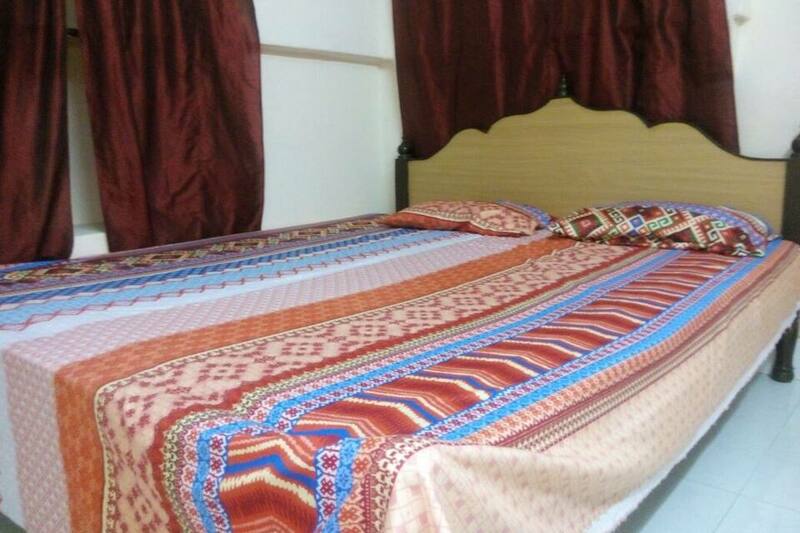 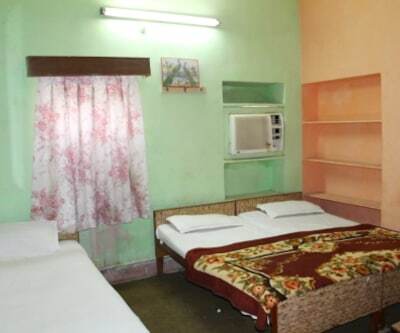 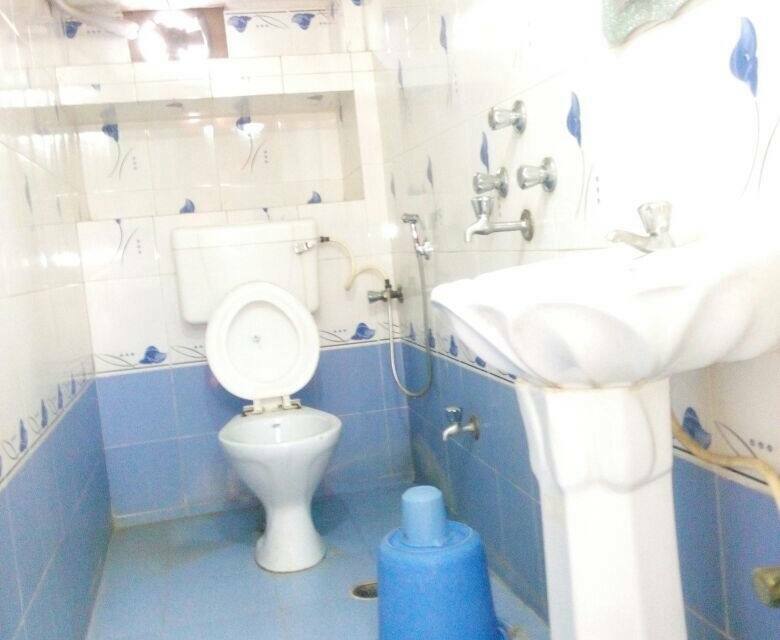 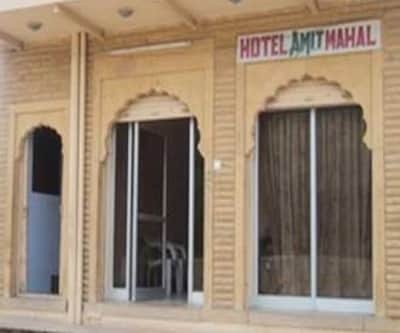 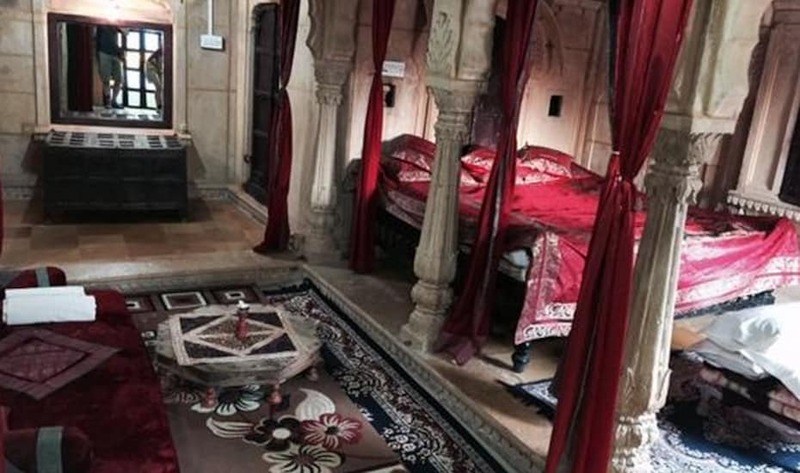 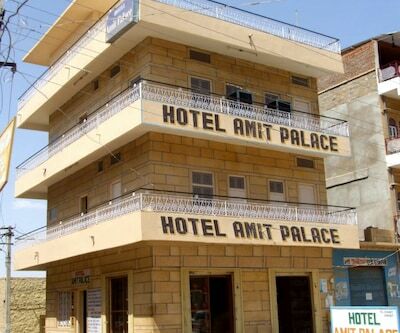 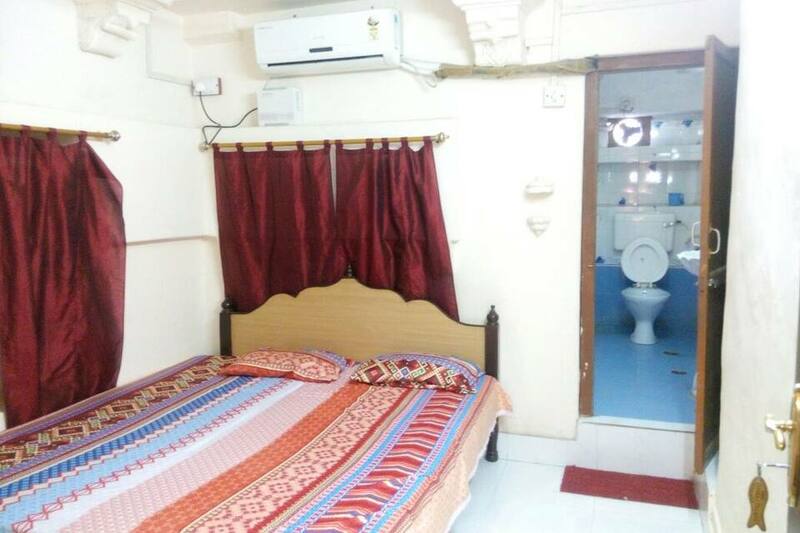 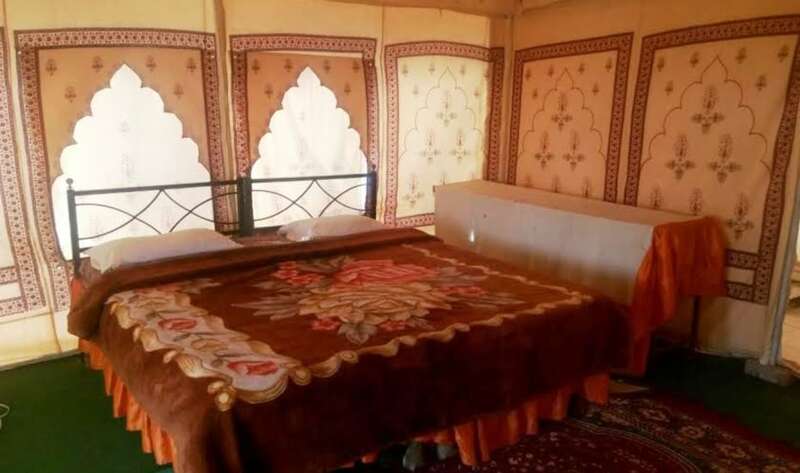 This hotel in Jaisalmer is accessible from the Main Bus Stop (0.5 km).All the rooms have attached bathrooms with hot and cold water supply, wardrobes, TVs, and makeup mirrors. 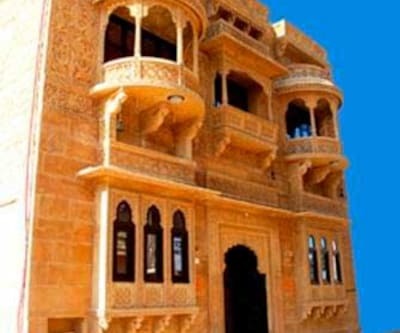 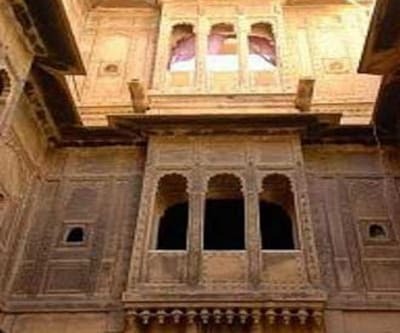 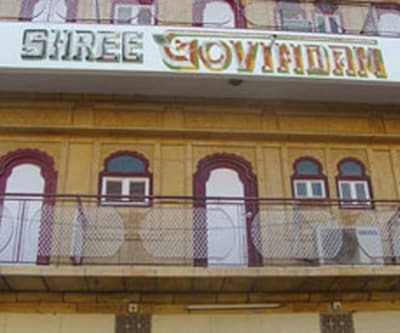 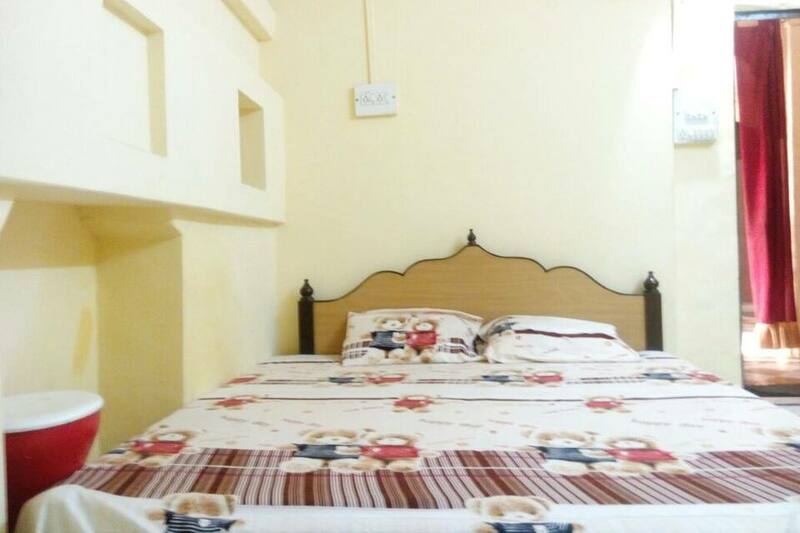 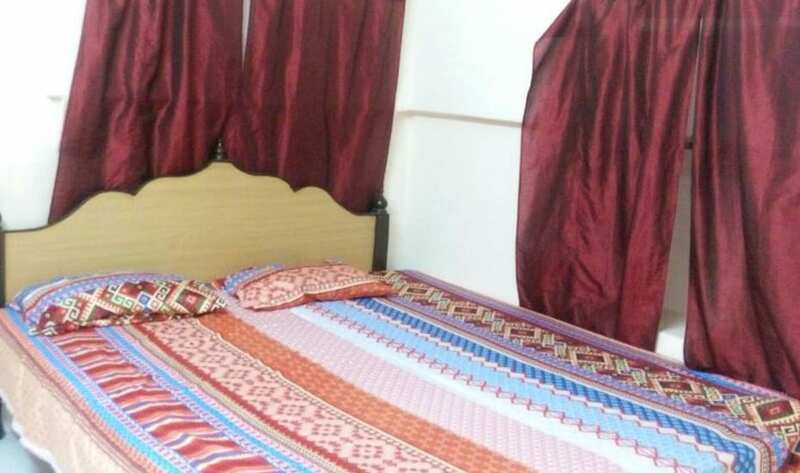 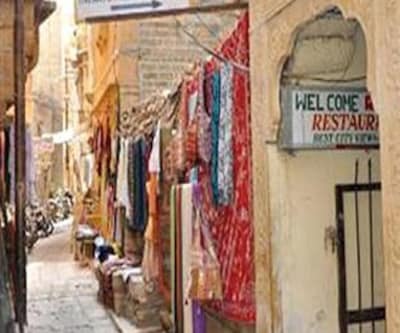 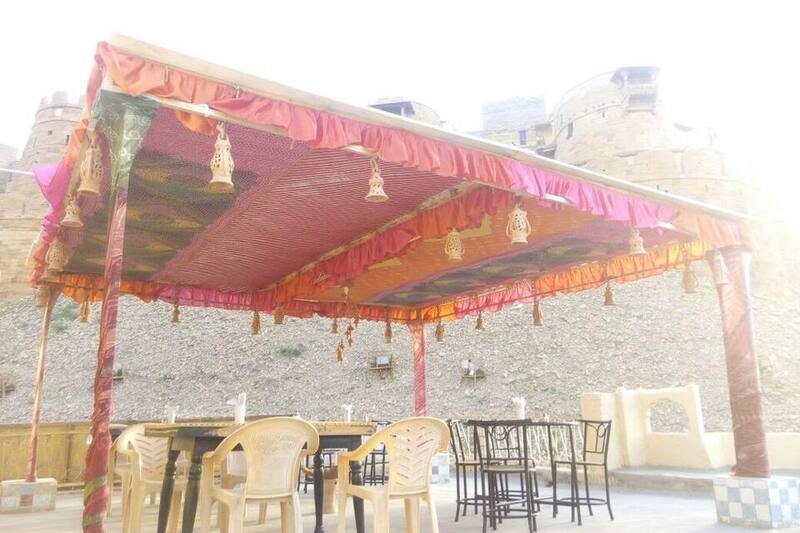 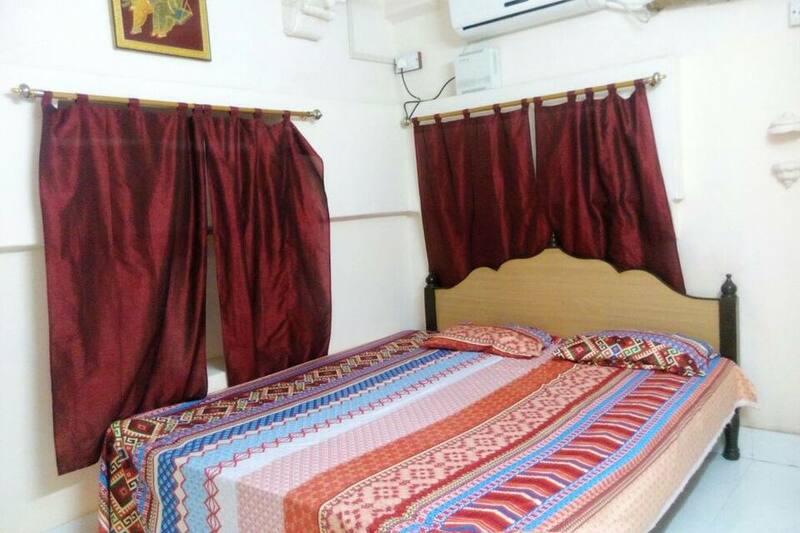 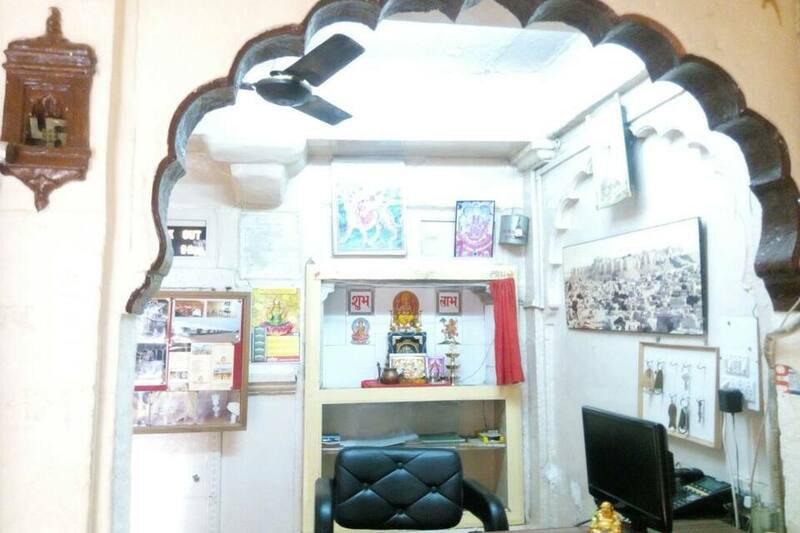 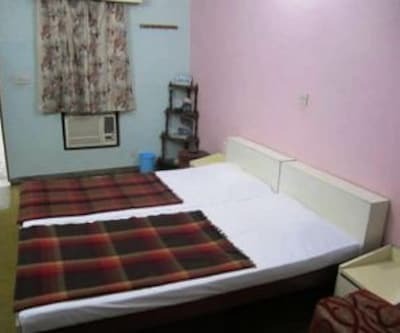 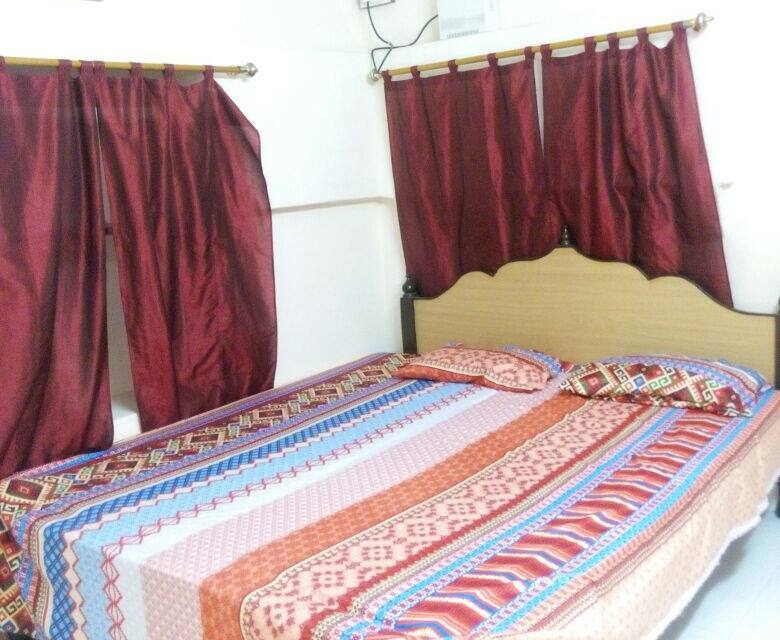 This 2-story accommodation has 20 rooms.Hotel Shri Giriraj Palace offers laundry, front desk assistance, and room service as well.This Jaisalmer hotel is accessible from the Jaisalmer Railway Station (2 km) and the Jodhpur Airport (282 km). 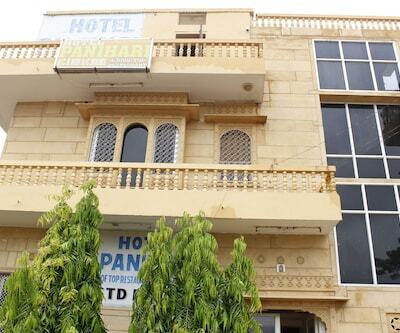 It has a travel counter to assist its guests with flight- and railway-ticket bookings. 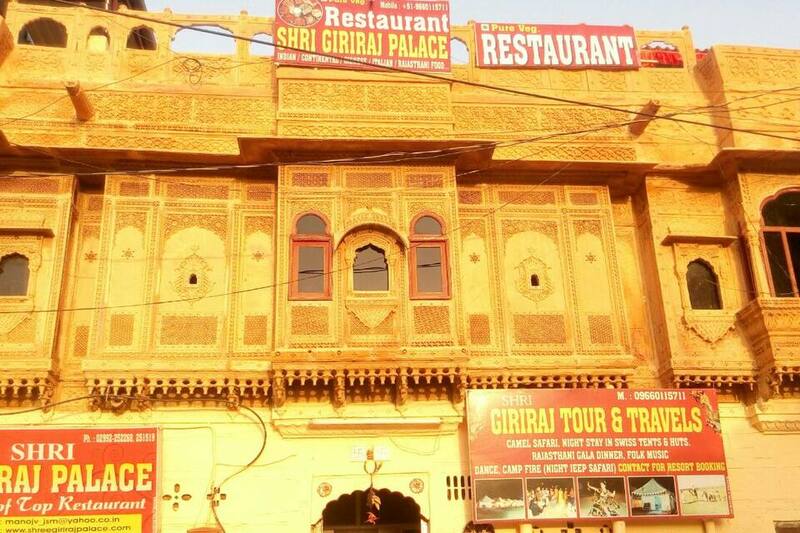 Places to visit include the J Golden Fort, Ashrya Math, and Folklore Museum, each at 1 km from the hotel.